Fashioned from Zari, pair it with contrast kurta. Its easy to carry and comfortable to wear. These add to the unique charm of this exquisite piece. Art from Bhadhoi, Utterpradesh. Look ravishingly beautiful from the rest of the crowd by wearing this designer dupatta. This beautifully crafted to catch every ones attention instantly. 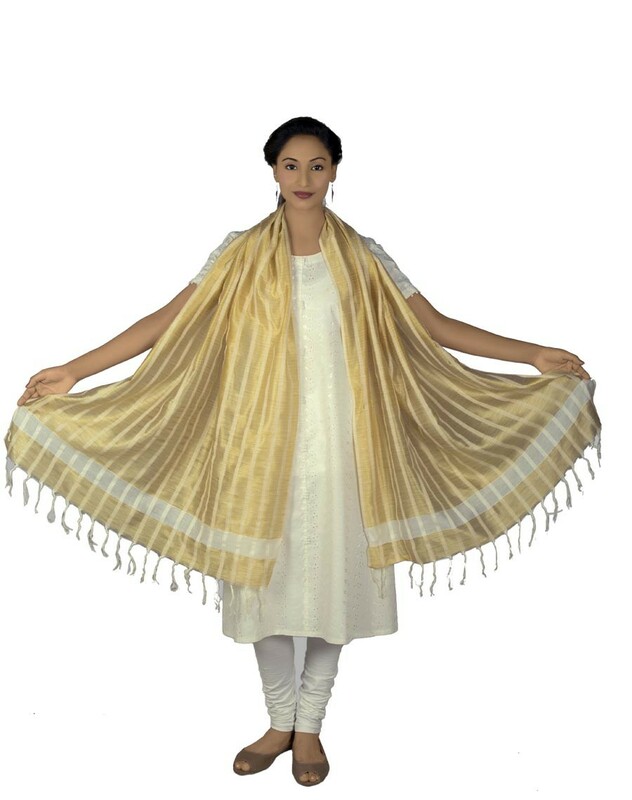 This dupatta is a must-have in your ethnic wear collection. Disclaimer: This kind of product may have slight imperfection and/or mismatch from the product shown in the image as its handcrafted by the artisan which makes the product unique. The shade seen is the one closest to the product's actual color.